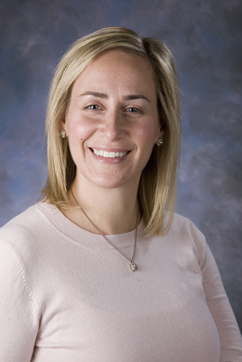 Dr. Lara McKenzie is an Associate Professor of Pediatrics with tenure at The Ohio State University College of Medicine and the Division of Epidemiology at The Ohio State University College of Public Health. She is also a faculty researcher and Director of the Training and Education Core for the Center for Injury Research and Policy at the Research Institute at Nationwide Children’s Hospital in Columbus, Ohio. Dr. McKenzie is a social and behavioral scientist specializing in the use of behavioral theories and models to develop and evaluate child injury prevention interventions. Her work also focuses on injuries associated with consumer products as well as sports- and activity-related injuries that are treated in hospital emergency departments. Her research is supported by federal grants and foundations. Dr. McKenzie received the 2007 and 2010 Recognition for Excellence from the Public Health Education Health Promotion Committee of the American Public Health Association for her educational tools aimed to increase parent safety behaviors. She was also awarded the Outstanding Principal Investigator of the Year in 2009 from the Nationwide Children’s Hospital, the first-ever award of this type at her institution. In 2012 Dr. McKenzie received the Outstanding Recent Graduate Award from the Johns Hopkins Bloomberg School of Public Health, an award which recognizes recent graduates for outstanding achievement in their professional life. Dr. McKenzie is passionate about innovative work in the field of injury prevention and holds a patent for a child-resistant spray bottle. She and her team created a home safety mobile application (which has been downloaded more than 58,000 times) for parents and caregivers as part of the Make Safe Happen® program. Dr. McKenzie has been a member since 2007 and Fellow of The Academy (class of 2016) and is extremely active in her service. She has served as Member Delegate since 2015, she chaired the 2015 Annual Conference Planning Committee, and has also chaired the Professional Development and Mentoring Council. Dr. McKenzie also serves as a mentor in the AAHB Research Scholars Mentorship Program. My introduction to The Academy began when my doctoral advisor and mentor, Andrea C. Gielen, ScD (AAHB Fellow and Research Laureate) encouraged me to attend the 2005 annual meeting in Charleston, SC. Finding a professional home should be (but isn’t always) as easy as having your mentor simply point you in the right direction. At the first AAHB meeting I attended, I immediately I felt like I had “found my people.” We shared a passion for improving health, a commitment to excellence in research, and best practices for applying research to practice. I felt immediately invested in and welcomed by The Academy. Attending The Academy annual meetings put faces and personalities to the work of leaders in health behavior research that I was only familiar with on paper and interacting in person helped me to shape my own body of research. I have been an active member of The Academysince 2007 serving in various roles on the Board and on councils such as Chair of the Professional Development and Mentoring Council, Chair of the Annual Meeting Planning Committee, and Member Delegate. As President my vision for The Academy will focus on three areas: Mentorship, Growth, and Inspiration. Mentorship at Multiple Levels (multi-level mentorship). I believe that continued progress in health behavior research, in part, will be made by mentoring and trainingnew health behavior researchers and scholars. The development and realization of the AAHB Research Scholars Mentorship Program is a strong vehicle for mentoring and training junior researchers while simultaneously involving senior members of The Academy. These unique interdisciplinary collaborations around shared interests include documenting outcomes, innovating around interventions to encourage healthy behaviors, and ultimately sharing evidence-based results to the largest audiences, be they individuals, policy makers, communities, or the nation. As President I will work with the Board to continue to offer both formal and informal mentoring and professional development opportunities and brainstorm ways to facilitate increasing the offerings and impact of mentorship. Growth, While Retaining the Standard of Excellence. Serving in various elected positions and council chair roles has afforded me a view of the inner workings of The Academy,from budgeting, sponsorship, strategic planning, introduction of a new journal, annual meeting planning, membership structure and fees. I have seen the policies bend and flex to accommodate a growing membership base of health behavior research students, professionals and scholars, allowing our organization to become more inclusive, diverse, and equitable. As President I will encourage this type of growth of the membership while retaining the standard of excellence founding members and others should expect. The importance of membership growth as a strategy is two-fold: we need to expand membership base so as to not be completely reliant on the annual meeting for financial survival and expand the influence of our members’ work; which will help ensure the survival of The Academy into its third decade and beyond. Inspiration (What is the next big thing for The Academy?). I am passionate about innovation and “thinking big.” The process of being mentally stimulated to do or feel something and to be creative is not always an approach that is associated with scholars/researchers, however, my own work along with the work of our Academy members proves that creativity, inventiveness, innovation, imagination, and originality are what gives our field inspiration and the energy to move forward. As President I will apply this passion to encourage the Board and members to submit new ideas, try new approaches to collaborations, mentoring, and research while supporting our foundation and mission. I would be honored to continue to support The Academy in this important leadership role. Dr. Annie Nguyen is an Assistant Professor in the Department of Family Medicine at the Keck School of Medicine at the University of Southern California (USC). She earned her MPH from Dartmouth College and her PhD in Public and Community Health from the Medical College of Wisconsin. Her research focuses on the social, physical, and mental health determinants of successful aging, particularly for people with chronic conditions. Her current research studies examine successful aging and end-of-life issues for adults aging with HIV. Dr. Nguyen attended her first AAHB meeting as a doctoral student in 2011 where she was awarded a Student Poster of Distinction Award. She has been a proud and active member of AAHB ever since and has subsequently received the Outstanding Student Poster Award and the Outstanding Research Poster Award. She joined the AAHB Diversity and Equity Council in 2014, served as an abstract reviewer and poster judge for multiple years, and is currently the 2018 Research Review Chair. Outside of AAHB, she is an active leader in the Aging and Public Health Section of the American Public Health Association and served as Secretary (2015-2017) where she took on projects to archive the history of the section and maintain committee and council operating procedures. She is enthusiastic about the opportunity to run for AAHB Secretary and would be honored if elected to serve. Dr. Mohammad Torabi received a B.S. and M.S.P.H. from Tehran University, Ph.D. from Purdue University and M.P.H. from Indiana University. Currently, he is Chancellor’s Professor and Former Founding Dean of the School of Public Health-Bloomington and serves as Co-Director of the Rural Center for AIDS/STD Prevention. His research focus has been in the area of measurement and evaluation of public and school health programs and factors associated with health behavior. His research extends into health promotion and key factors related to individuals’ decisions in the prevention of tobacco and other drugs, cancer, and HIV/AIDS infection. He has extensively published his research in a variety of major national and international journals in the field. Specifically, his research in the area of tobacco as a gateway drug and tobacco policy has made an impact at the national and international levels. Professor Torabi has served as a research consultant for various state and national organizations including governmental and non-governmental agencies and has presented his research in major national and international conferences. Dr. Torabi served as Editor of the Health Education Monograph Series for over twenty years and in the past, served as Assistant Research Editor of the Journal of School Health and a research editor for the American Journal of Health Behavior. He is a Past-President of the American Academy of Health Behavior. He has served as a member of the National Executive Board of the American School Health Association, at - large member of the National Council of the American Lung Association, a Board member of the American Association of Health Education and a member of the National Executive Committee of the Eta Sigma Gamma, a Health Science Honorary. He served as a Vice President for North American Region office of the International Union of Health Promotion and Education. Dr. Torabi has also served as the President of the American Lung Association of Indiana and President of the IU Chapter of Phi Delta Kappa. Currently, he serves as a member of the Board of Directors, Foundation for the Advancement of Health Education and is the Health Education Commissioner for the International Council for Health, Physical Education, and Recreation. He held a gubernatorial appointment on the Executive Board, Tobacco Prevention and Cessation. His contributions have been recognized by numerous awards, such as the 2015 Society for Public Health Education Distinguished Fellow Award, Scholar Award from the American Alliance for Health, Physical Education, and Recreation; Distinguished Scholar Award from the International Council for Health, Physical Education, and Recreation, Research Council Award of the American School Health Association, the Midwest District Scholar of the American Alliance for HPER. He also received the Outstanding Researcher Award by the Indiana University School of HPER; the Murray Auerbach Medal from the American Lung Association of Indiana; National Distinguished Service Award by the American School Health Association; and the Indiana University W. George Pinnell Award for outstanding service. Also he was selected a Distinguished Alumnus of Purdue University College of Liberal Arts. He has received various certificates of Merits and Commendation by the American Cancer Society; Phi Delta Kappa; and the American Lung Association. He is a Fellow of the American Academy of Health Behavior; Fellow of American School Health Association; Fellow of the AAHPERD Research Consortium; Fellow of American Association of Health Education; and Fellow of North American Society of HPER. In 1997, he was named a Chancellor’s Professor at Indiana University. 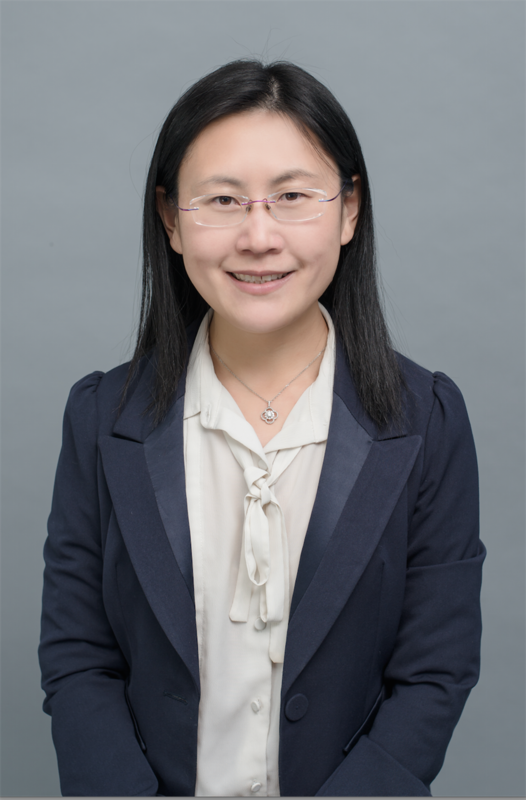 Dr. Wenhua Lu, PhD, MS, is an assistant professor in the Department of Childhood Studies at Rutgers University. Dr. Lu earned her MS in science and technology journalism (2009-2011) and PhD in health education (2011-2014) from Texas A&M University. She also completed a two-year postdoctoral fellowship in mental health service research at the Silver School of Social Work, New York University (2014-2016). Dr. Lu’s research centers around child and adolescent health disparities, with a focus on minority and underserved populations. 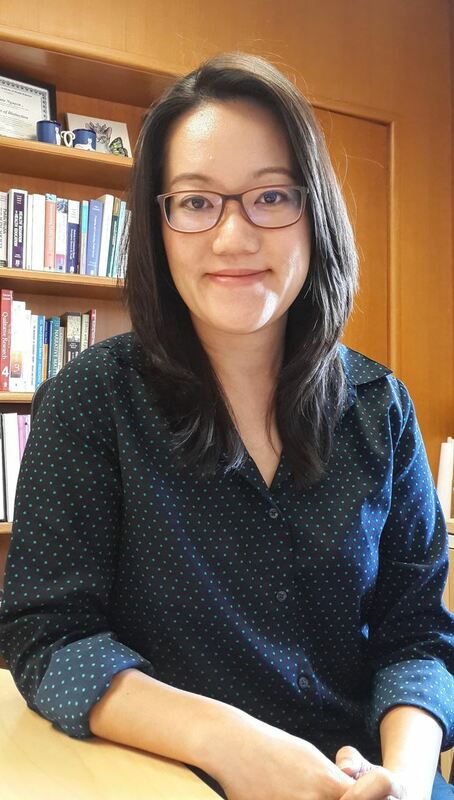 In particular, Dr. Lu is interested in understanding and intervening on behavioral, psychosocial and environmental factors that influence minority and underserved children’s health risk behaviors (e.g., unhealthy diet, lack of physical activity), negative health outcomes (e.g., childhood obesity), and mental health disorders (e.g., adolescent depression). Currently, Dr. Lu is working on two health disparities research projects to 1) examine the mechanism underlying unmet mental health service needs among Asian American adolescents with mental health disorders, and 2) investigate the real-time influence of neighborhood environments on adolescent food-purchase behaviors using mobile technologies. Dr. Lu is also the Co-Project Director of a RWJF-sponsored youth civic engagement project to evaluate the implementation and impact of RWJF’s Next Generation Community Leaders initiative in 11 underserved minority communities across New Jersey. Dr. Lu’s research has been published in leading public health journals, including Journal of the Academy of Nutrition and Dietetics, International Journal of Behavioral Nutrition and Physical Activity, American Journal of Health Behavior, and Journal of Health Care for the Poor and Underserved, and featured in various media outlets, such as NJTV News, Morning Dose TV, KYW News Radio, and Philadelphia Inquirer. Dr. Lu is also the recipient of multiple prestigious research awards, including the 2017 NIMHD Health Disparities Research Institute scholarship. Dr. Hsien-Chang Lin is an Associate Professor in the Department of Applied Health Science at Indiana University School of Public Health at Bloomington. Dr. Lin has published a number of peer-reviewed articles in the areas of substance use, public health and healthcare policy, and physician and patient behaviors. His current research focuses on evaluating policy interventions on substance use behaviors, in particular e-cigarette use, cannabis use, and non-medical use of opioids and other prescription drugs. He has employed the social-ecological approach to bridge research in public health policy and health behavior, with the focus on policy impact. Dr. Lin teaches advanced evaluation research methodology to doctoral students, public health economics as well as public health organization and administration to master of public health students, and public health research methods to undergraduate students. 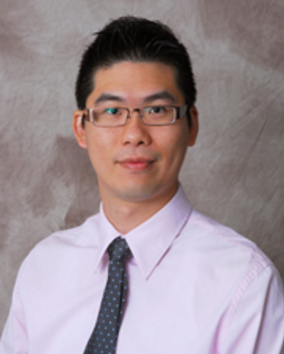 Dr. Lin has mentored over a dozen of doctoral students in health behavior at Indiana University. Dr. Lin earned a joint PhD in health policy and pharmaceutical outcomes research from the University of Michigan, two master degrees in economics from the University of Michigan and National Taiwan University, and a dual bachelor degree in sociology and economics from National Taiwan University. Dr. has been an active AAHB member. He served as the 2016 AAHB Research Review Chair and is currently serving as a member of the AAHB Awards Council and the Professional Mentoring and Development Council. He has also served as the abstract reviewer for the AAHB annual meeting every year since 2013. Dr. Lin will be chairing the Planning Committee for the 2019 AAHB annual meeting to be held in Greenville, SC.